Tulips and crocuses are busting out of the earth, robins are flitting around looking for fat and tasty worms, the sun is shining (mostly), and the grill is softly calling your name. Whether you’re into big hunks of meat cooked slow and low, or quick and simple burgers and sausages, or even thick cuts of marinated yellow squash, it’s about time to cook some food outside. 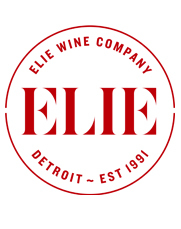 Elie Wine Co. won’t sell you any sausage, because we’re a wine shop. But we can provide a first-rate bottle to drink with your meal. 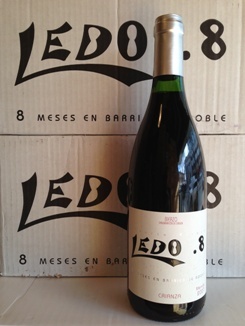 Ledo .8 is an ideal wine to transition into warmer months. Produced from mencía vines ranging in age from 15 to 80 years old, and aged for 8-12 months (Crianza) in French and American oak, it’s redolent of wildflowers, earth, and ripe red fruits. It’s purple and easy to drink, yet has the structure and finish to remain interesting through an entire bottle. The wine comes from the singular subzone of Corullón in the DO Bierzo — a small, ancient region in the northwestern corner of Castilla y León, almost on the eastern border of Galicia, which is due north of Portugal on the Atlantic coast. Mencía is indigenous to this area and grows well from soils of clay and slate. 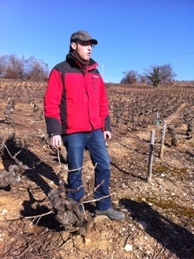 Winemaker Alberto Ledo is serious about his fruit. Cultivation is organic, yield is minuscule, and the grapes are hand-picked and hand-sorted. About a quarter of only 550 cases of Ledo .8 produced make it to the U.S. Try it with a grilled lamb burger flavored with salt, pepper, a bit of grated onion, and a touch of freshly ground cumin and coriander. Throw in a handful of pine nuts if you’re feeling fancy. Serve with a simple salad, a few big glasses of wine, and good friends. We’re not the only ones that like Ledo .8 with food. You can also find it at Slows Bar BQ, Pizzeria Biga and Atlas Global Bistro. Stop by the store anytime this Saturday and we’ll pour a taste for you.